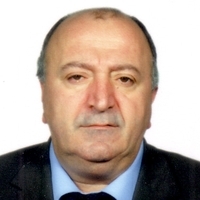 The EHF has the sad duty to report the death of the President of the Armenian Handball Federation, Sargis Grigoryan. Mr Grigoryan died of cancer at the age of 64. His colleagues at the Armenian Handball Federation, wrote: “His untimely death is very sad and whole of Armenian handball mourns his death. “Mr Grigoryan was a very good person, a good friend and a good athlete and all these years he did his best to develop handball in Armenia. The EHF would like to express its sincere condolances to the family and friends of Sargis Grigoryan at this difficult time on behalf of his colleagues from across the European handball family.